I’ve owned a Seiko Kinetic model 5M62 watch for about 8 years and I really liked the fact that it never needed batteries and would run for days without winding. The Kinetic watch is self-winding, and instead of using a spring to store the energy, it converts the mechanical motion into electricity and stores it instead. This gives it the convenience of a self-winding watch along with the accuracy of a quartz movement. However, a few weeks ago I noticed that it would stop running if I took it off for a few hours. Sometimes, when I was just typing on the computer and not moving my wrist around, it would stop running. 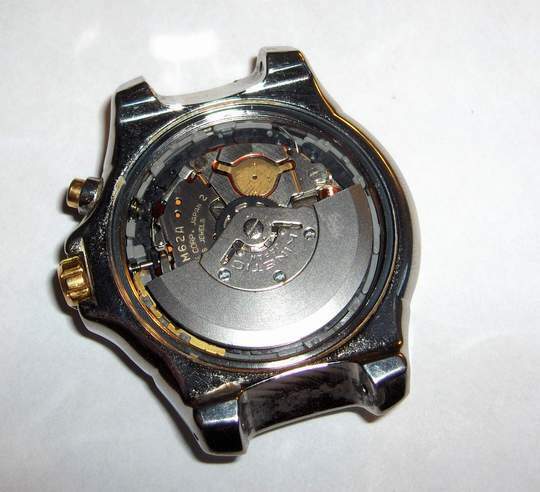 Below is a picture of the watch. I figured there was something wrong with the energy storage system, possibly a dead battery or bad capacitor. After a web search, I found out that the watch does have a battery, which is sometimes referred to as a capacitor, but it is indeed a battery. All rechargeable batteries eventually lose their ability to hold a charge and after 8 years, this one had simply worn out. The problem with changing it is that the Seiko Kinetic battery is not one of those standard watch batteries that you buy in a store and easily change by yourself. However, I found that it could be purchased from vendors on Ebay or other on-line websites like Swatchbattery.com for around $20. In our disposable society, I’m sure this issue could have been an excuse to go shopping for a new watch. But once you become attached to a watch, and this one is water proof so I hardly ever take it off, it sort of becomes a part of you. I hated the thought of replacing it, especially because I felt it had many more years of service. I started reading a few of the websites that talked about replacing the battery as a DIY project, but wasn’t sure if I was up to the task or had the necessary tools. 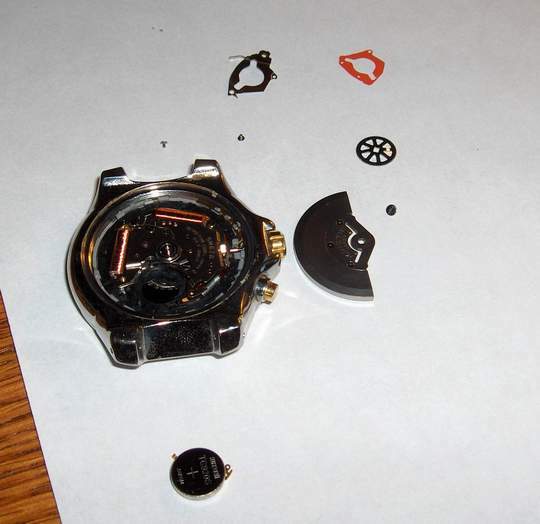 I never had taken the watch apart and looking at the back of it, I didn’t think it would simply pop off like my previous watches that had user-replaceable batteries. I talked with the jeweler where I bought it and they told me that they would have to send it away for repair and thought it might cost $65 or more to replace the battery. The local jewelery repair shop had a similar assessment. So, being an adventurer and inveterate fixer, I decided to do it myself. 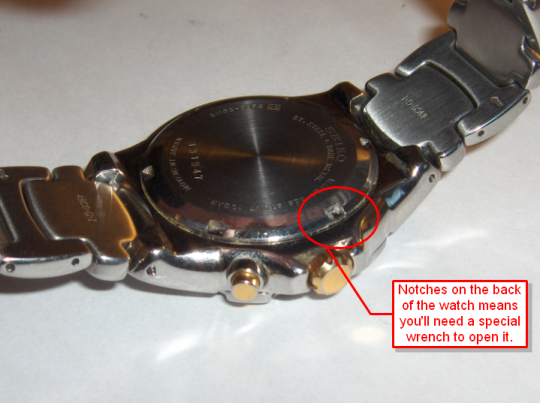 You can see from the image below that the watch had notches on the back of its case. This meant that it needed a special case opener wrench. I decided to get a Jaxa style opener (shown below) which clamps down on three notches since it seemed like it would do the job better than the openers that only grabbed the case on two notches. These can be found on the Internet or at Harbor Freight for less than $10. To make things easier, I decided to remove the watch band. 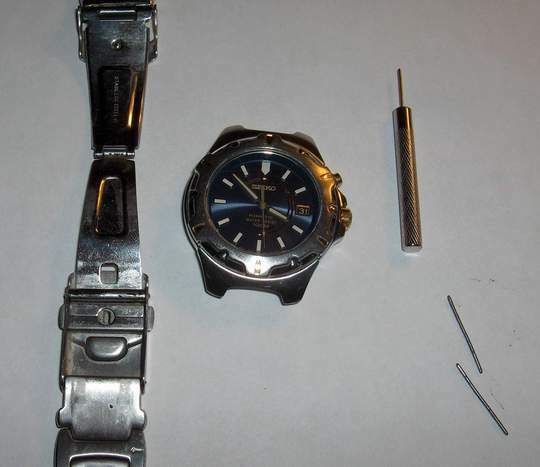 Most of the watches I’ve owned had spring-loaded pins that were pretty easy to remove, but this model had pins pressed in that held the watch band in place. 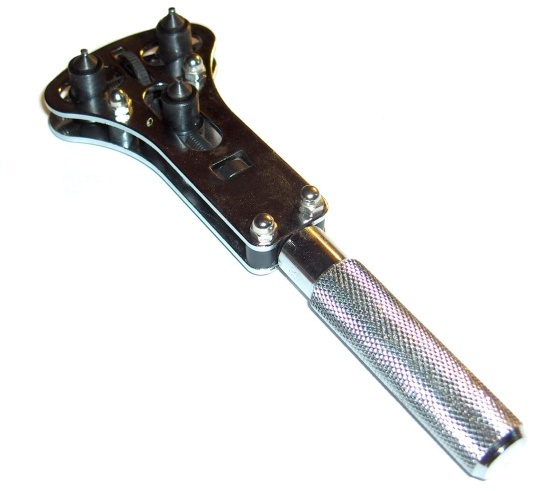 I was able to push them out with the tool shown below. I used a paper towel to protect the watch and gently gripped it in a vice and was able to unscrew the back with the watch opener. It took a fair amount of torque to loosen the case back. In the image below you can see what it looks like inside. The battery is the brass-colored part in upper side of the image below. To get to it, you need to remove three very small screws. I had several small jeweler’s screw drivers around the house, but these screw slots are so tiny that I found it necessary to use a file on one of my screw drivers to make a very sharp tip in order for it to fit in the slots of these screws. The center screw holds the winding weight and gear in place. These items can only go one one way as the shaft is keyed. Actually, they can go on two ways, but both ways are correct. However, you can put them in upside down, so pay attention to how they are installed as you remove them. The gear must mate up with a smaller gear so make sure that it does before installing the winding weight and screw. When you get all the parts out, they look like the image below. There are 3 small screws, the winding weight, a gear, a red mylar insulator, a battery hold-down clamp, and the battery. To re-assemble them, just (carefully) put them back together they same way you took them apart. You’ll find a pair of sharp tweezers useful to handle the screws and other parts. Here is the package I got from an online retailer. It came with a red mylar insulator, a hold-down bracket, and the Maxcell TC920S battery. 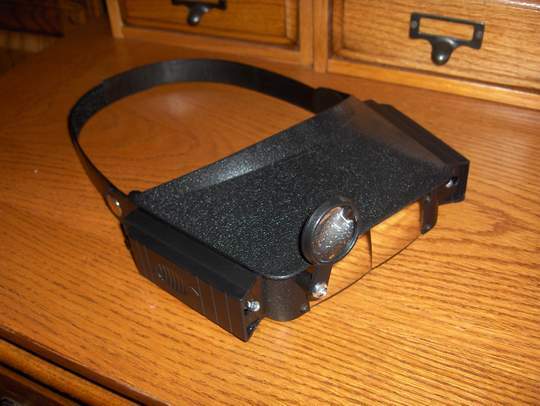 In addition to the tools mentioned above, I also used the magnifying headset shown below which I highly recommend. I think that the magnifying headset (with built-in LED lights) was instrumental in allowing me to work on such a small device. They can also be found on the Internet for less than $10. 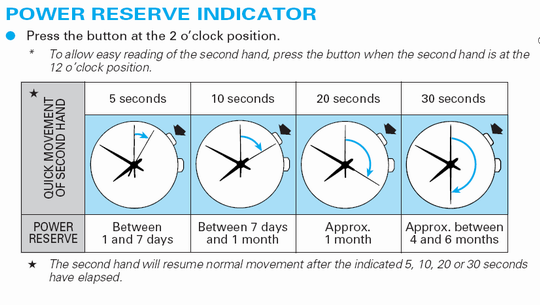 Incidentally, when the watch battery had begun to fail, it was impossible to get the reserve indicator to advance the second hand more than 5 or 10 seconds even after vigorous winding. Now with the fresh battery, it jumps forward 30 seconds whenever I push it. 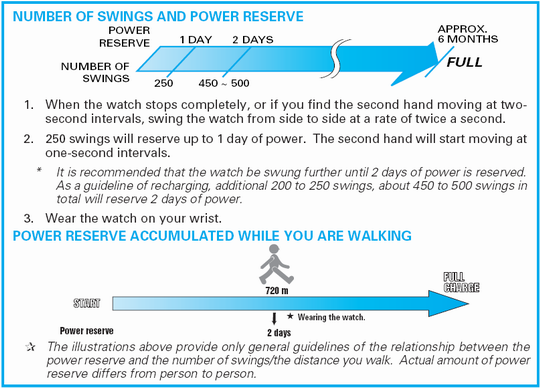 It would appear that if you walk more than 720 meters (about 1/2 mile) you’ll impart enough energy to keep it going for a two days. Here’s another interesting tidbit: If you see the watch second hand jumping 2 seconds at a time, that means the battery is low and that you have less than 24 hours of charge left on it. 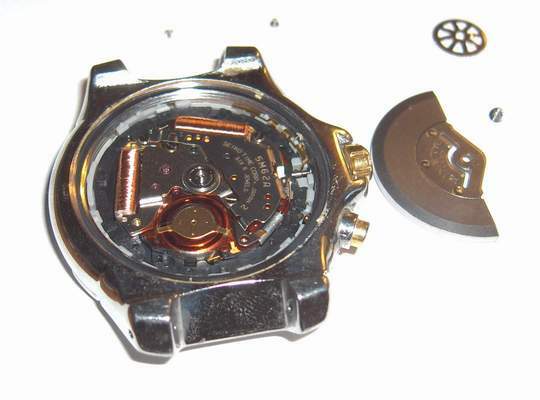 So, there you have it, a way to resurrect a watch that should last for decades. 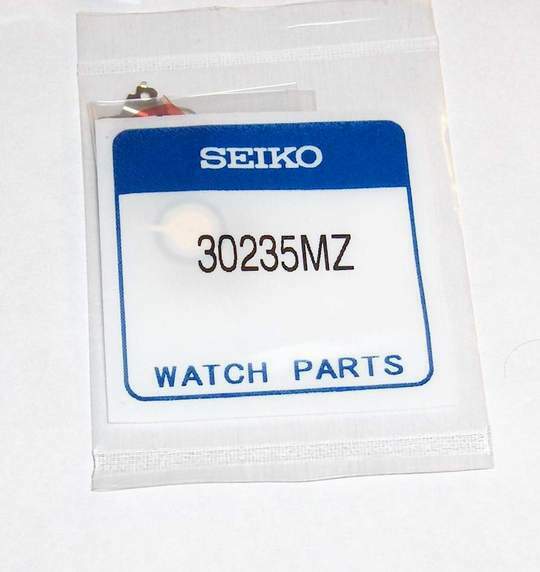 If you have one of these Seiko Kinetic watches sitting in a drawer gathering dust because of a dead battery, I hope my explanation gives you the motivation to get it working again for minimal cost. Please feel free to leave a comment if you have any questions or just want to share your experience with other readers. Does it seem like too much trouble or beyond your skill level to do this repair? If so, you may want to get in touch with John Safranek at KineticRepair.com in Denton, TX or call him at 940-239-9888. He’s a Seiko Kinetic expert and performs these battery changes starting at just $49.95. This entry was posted in household repair, technology by Lee Devlin. Bookmark the permalink. 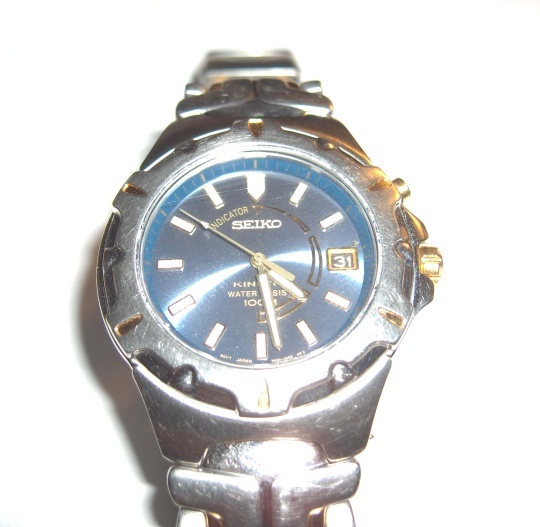 I have a Seiko Kinetic watch which was my father’s and he gave it to me when I turned 20. Once I lost it over a month and when I found it, it was was dead. Your manual helped me revive it and I finally understood what the button at the 2 mark is for and how to charge it properly. Fascinating write-up (and convinced me that my fat fingers probably ain’t up to it). Off to jewellers. Cheers. This page was an excellent find! The watch I bought for my husband ages ago has the exact same prefix as yours, and so I was able to find both the capacitor battery and the same tools on ebay for under $30! Thank you so much for your detailed walk-through!